The Ogre Battle series has still got it in Japan, with the latest entry in Square Enix's tactical role-playing game series getting a great start on the PSP. 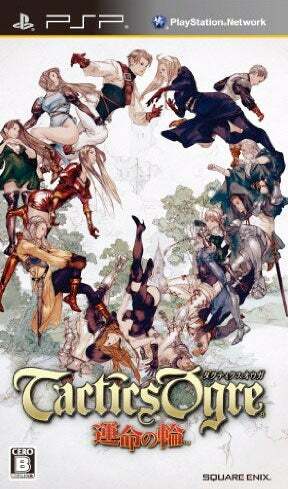 Tactics Ogre: Unmei no Wa—or Tactics Ogre: Wheel of Fortune, if you prefer—moved a damn good 176,000 copies in its first week on sale in Japan, outselling its closest competitor Dragon Ball: Raging Blast 2 for the PlayStation 3 by a considerable margin. Those were just two of the many new debuts this week, including a new Wii Sports Resort bundle, God of War: Ghost of Sparta and Mafia II. Sales on those three titles weren't remarkable, which you can see in the full list below. Here are the bestselling games in Japan for the week of November 8 to 14, according to Media Create.